Is Woodland Scenic static tac glue just a glorified white glue? Can it be diluted with water and misted with a spray bottle on Styrofoam to be used with static grass? 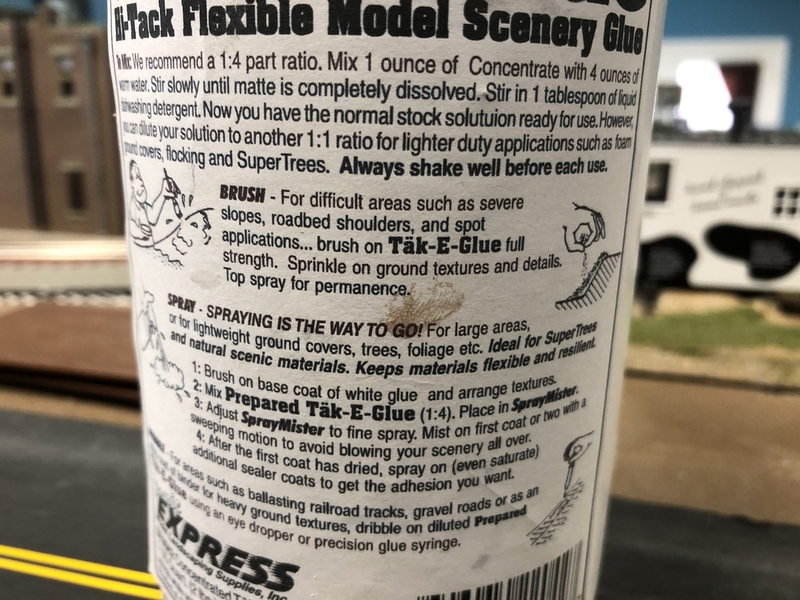 Static grass may work better with thicker mixtures, but here is the label for the Scenic Express glue. I purchased the Static King 7mm , 4mm grass & glue . 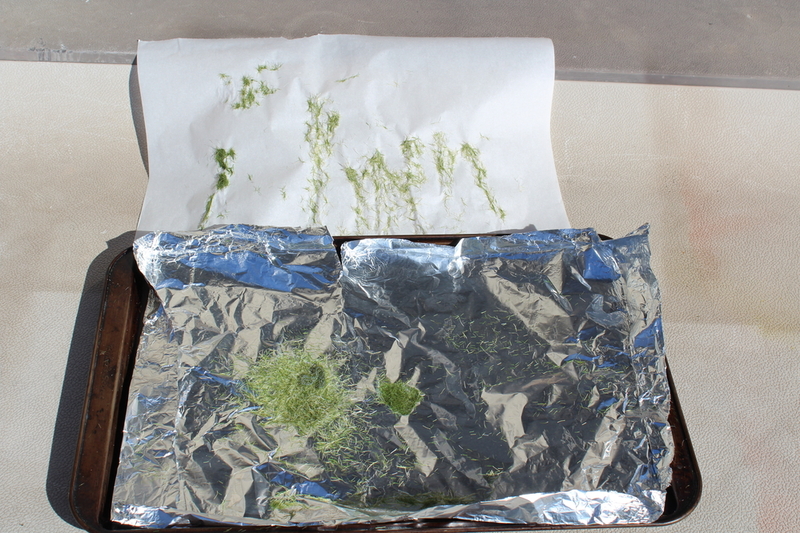 I followed WS video with foil and parchment paper. The grass doesn't standup. I asked WS FAQ no answer. Question? 1. New 9v battery tested good. Would the 110v adapter be better? 2. Do I need the Static spray or a canned spray adhesive to add more static grass to make it look longer? 3. Could the Static King be not working properly? I held it 1/2", 1/4" to touching the bottom of the screen. 4. Is there a time limit when to apply and vacuum? I very much appreciate your replies. Static King applicator and WS grass. Assuming the Static King is working only thing I can think of is that the Static King was not properly grounded. If the foil you mentioned was metal then I am stumped. aluminum foil. Do you use battery or 110v power. I bought the very expensive Noch Grassmaster 2 (on sale $160), but I also made one myself from an electric fly swatter for about $10. Guess what? The homemade one works much better. My theory is there is a much higher static charge with the fly swatter, so the grass fibers really stand up and look good. When it comes to glue, I go with straight white glue, applied with a very cheap paint brush. I give the glue a quick shot water with a spray bottle, to loosen it up and spread easier. I did this side by side test patch. The area to the left of the nail was done with the fly swatter, and to the right the Noch. See how the fibers in the back are really standing up? My wife said the stuff in the foreground looked more like mown hay. I agreed. You don't need foil to make this work. What you do need is an electrode to hook the ground clip to, the nail, in my case, and wet glue to conduct the negative charge. This way the positively charged fibers will stand up. Big Boy 4005 where are you located? Is it ok to take a meter and check if the Static King is working properly. alligator clamp on one lead and the other on the center screw in the applicator. Should the voltage read 9v as the battery. Would this cause damage? I tried foil with the glue directly applied and same result as the parchment paper. The ground was clamped to foil and also dipped into the glue. Plus wet water on glue also was tried. Just off I-94 a couple miles from the Wisconsin line, in Minnesota. The mail calls it Stillwater, but the city of Stillwater is five miles north of here. If you want to test your applicator, just grab the insulated part of the ground wire, and wave the clip near the metal screen. Spark means it's working, but there's no way to really quantify it. I wouldn't risk checking it with a meter. The fancy Noch unit also uses a 9 V battery, but I still think it doesn't generate the same level of charge as the fly swatter. 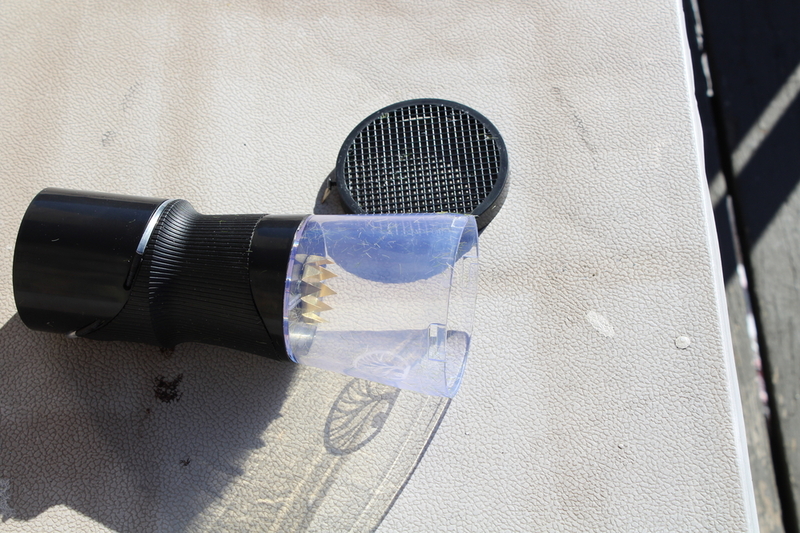 The fly swatter just uses a couple AA batteries, but it is intended to FRY bugs. It might be the difference between 10,000 V and 100,000 V both at very low current. The reason for this is probably safety related, and why the hobby versions can get a safety rating. This is the Noch. It's very pretty. This is my ugly homemade unit, but I'll take function over form on this one. 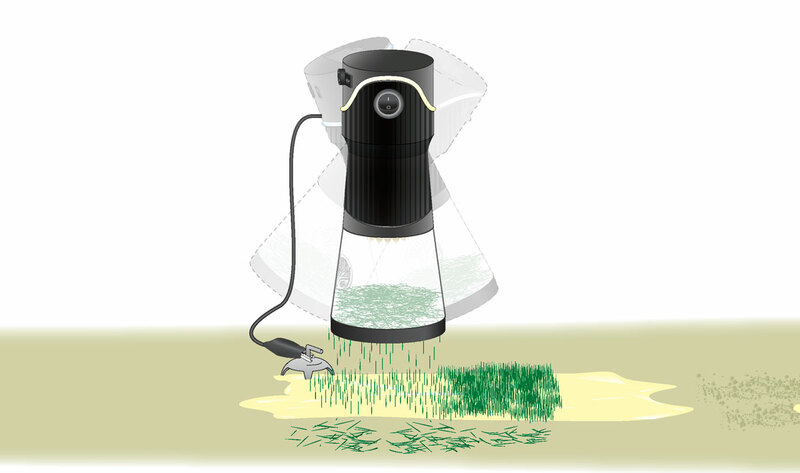 +1 on the "Cheap" static grass applicator. I picked up one on Ebay last year and it works very well, (BTW, it's a Chinese Knock-off). It uses two "D" cell batteries and puts out one heck of a static charge, (don't ask me how I know). The "ground" is important (I use a small steel nail in the area I'm "planting" the grass which is where I connect the ground wire from the applicator). Like Big Boy 4005 said, if you turn the applicator on and lightly brush the ground wire against the wire mesh on the applicator, you should get a spark. If no spark, more lithium crystals will be necessary. Side note: When you get to the point of applying final ground cover, detail, ground swells, ditches, grade, roads, etc. should be pretty well done. Use of Plaster of Paris, drywall compound, floor leveling compound, etc can be use to a point, then a final coat of some earth colored paint gets you to applying grass, shrubs, weeds, etc. IMO, Mike CT.
Station, Feed store, Grain elevator Click on the link for a slideshow of preparation of an area before application of final ground cover. Held the ground close to center screw and it gave off about 1/4" Arc. Sent pictures to Woodland Scenics. After viewing the pictures and information you all sent and after getting not much of an answer from WS. I did some experimenting. The home made applicators all have metal screens. 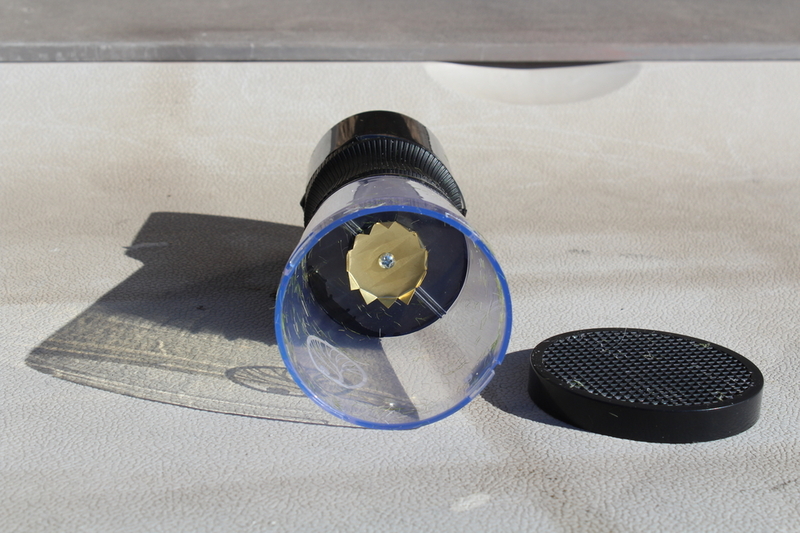 I added a aluminum foil cone to Static King, This moved the metal positive 2" closer to the plastic screen. It worked. I am currently making a similar cone, similar to the Static King. 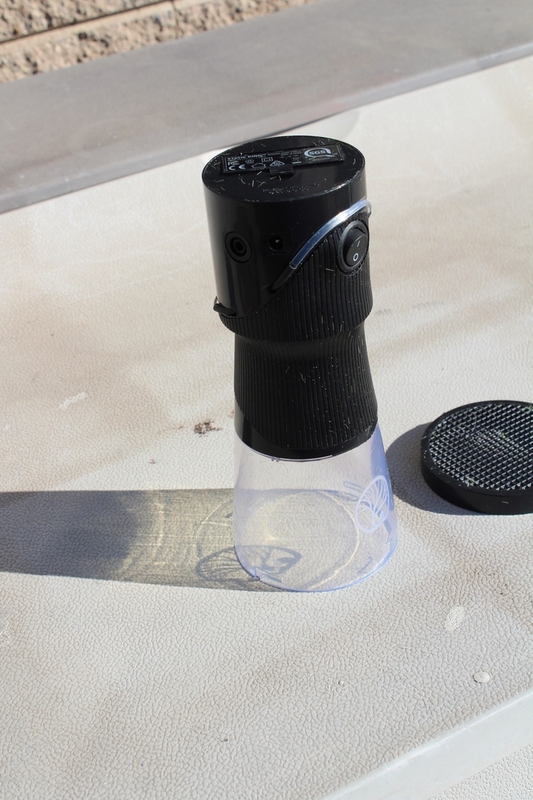 It will be 2" longer and it will not interfere with the static grass or plastic screen. I will post the results in pictures. I guessing factory applicators would have safety issues with positive screens. Glad you got it working. Sounds like you found the missing link. Elliot! Get on U-Tube and type in static grass applicator, they will show you everything you will need to know, when I turn on my home made applicator the hair on my arms even stand up. Thanks Ernie, but been there done that. That's how I made this ugly thing, but it works great. It's Missabe that's having trouble.